Margaret first realized her son’s speech transformation on a recent doctor’s visit. It was the day after Blaise turned five and he was excitedly chattering to everyone in the office about being five years old. 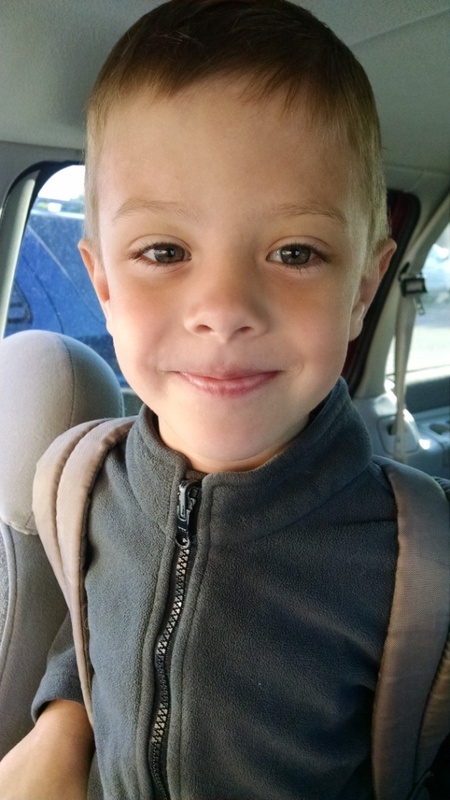 Blaise began receiving Rainbows’ Speech Therapy with Speech Language Pathologist Paula Matson in Fall of 2014. Blaise enjoys working with Paula when she visits him at school and talks about her to his family as if she were a playmate. Paula is a member of Rainbows Community Based Education/Training Services (CBETS) who offer services through a contract with USD 259. Prior to receiving Rainbows’ services, Margaret hesitated to leave him in the care of other adults, even family members, due to the fear that they could not understand his speech. Margaret hopes that others will seek Rainbows’ services to help their children as well. “Rainbows obviously helped my son and they have treated our family like a respected part of the team,” Margaret said. Margaret appreciated the progress Paula shared with her as well as activities they could do at home to continue his improvement.